Laptop release date is Jan 29th, hopefully the benchmark / spec embargo will lift before then, or we've got a long wait ahead to find out the answers. Several reviewers have said it's got "desktop" parts, do they mean a desktop CPU? It's been said it's got an 8th gen i9 CPU, so is that a mobile HK CPU or a desktop CPU? The Motherboard shoes that it's a BGA for sure, so it's not really a DTR. It will has a BGA core i9 I think. The Motherboard shoes that it's a BGA for sure, so it's not really a DTR. Yup, PCWorld said the CPU model, 8950K, I already edited my other post. 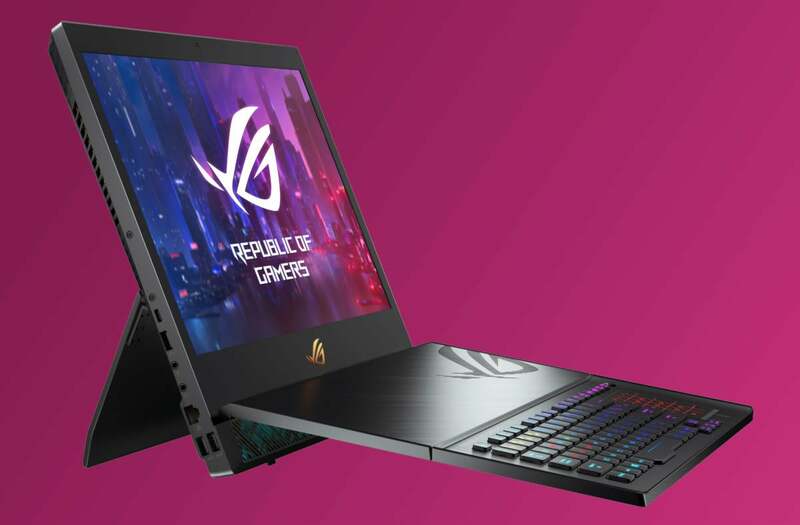 The 17" G701 "big" Zephyrus looks more promising for toting around - and will run on a 65w USB-C power adapter when on the road and 250w PSU normally, and it can reboot on iGPU that would be a good candidate for gaming laptop + all day carry + lightweight PSU. Mothership isn't shipping till "March", the G701 end of Jan (29th). undervolter0x0309, Vasudev and AHMED KARAM like this. undervolter0x0309, Raiderman, Ultra Male and 2 others like this.